1998 Pontiac Firebird vs 1998 Chevrolet Camaro: Which is Better? 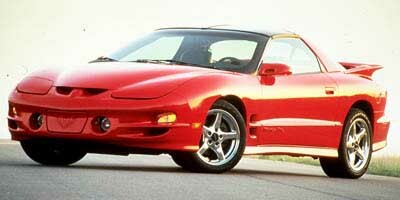 At the time there was much debate over which car was better, the 1998 Pontiac Firebird or the 1998 Chevrolet Camaro. There is no doubt that in the 90’s, both of these American muscle cars were special in their own way, re-igniting the passion that had been lost with muscle cars over the years. In 1998, owning a Firebird or Camaro was a must; they were American, fast, and both came as convertibles or hardtops. They were the Goliaths of their time when it came to sports cars under $35,000, and even today, they still hold the same significance and might. Both the Z28 Camaro and Firebird Trans Am had V8 engines that supplied 305 hp; the SS Camaro was given 320 hp. What also made them special was that they were customizable, which wasn’t too common with American cars at the time, as Japanese automakers were cheaper and so were the aftermarket parts. From a younger generation’s perspective, both the Firebird Trans AM and SS Camaro became the ultimate sports car that gave them the power they wanted without spending too much. These two muscle cars had the upper hand on the Japanese models that were popular with young adults, something that had been lacking until a few years ago with the reemergence of the Chevy Camaro, and Dodge Charger and Challenger. To be fair, the Firebird and Camaro weren’t all that different. The body shape was similar, both had models with T-tops, and they were cars built by GM. It really comes down to personal preference, which if you didn’t own either of them, you’d probably still be debating whether the Camaro was better than the Firebird. With their similarities, it might be safe to say they were both great, and still are. The roar of the V8 engine, combined with the T-top, and the appeal of a sports car, put them on every kid’s and adult’s wish list for sure. They will forever be classics, something that’s not usually said about cars manufactured in the 1990’s, but the Camaro and Firebird were very special and one of a kind. Author Mike CerraPosted on June 5, 2014 Categories Muscle CarsTags 1998 Chevy Camaro, 1998 Pontiac Firebird, Camaro, Chevrolet, Chevrolet Camaro, Firebird, Pontiac, Pontiac FirebirdLeave a comment on 1998 Pontiac Firebird vs 1998 Chevrolet Camaro: Which is Better? Chrysler reported strong earnings in May, as Jeep, Fiat, and Dodge carried most of the momentum heading into June. Jeep sales alone rose 58%, Fiat up 18%, and Dodge Ram trucks up 17%. Surprisingly the Chrysler brand itself didn’t report any gains, in fact sales were down 22%. The hope is that the redesigned Chrysler 200 can reignite sales as it will be the first model to get a whole new makeover that will be present in all Chrysler vehicles. The Dodge Journey and Dart both had a great month, putting together a 33% gain in May. The Challenger on the other hand barely managed a 4% increase in sales, as subtle changes to the body didn’t seem to phase consumers. With GM having their own problems, this is great news for the Chrysler group as confidence in their brand appears to be growing. The Jeep Cherokee is a favorite among buyers as it brings it’s all-new design and reputation as being a strong and durable SUV. 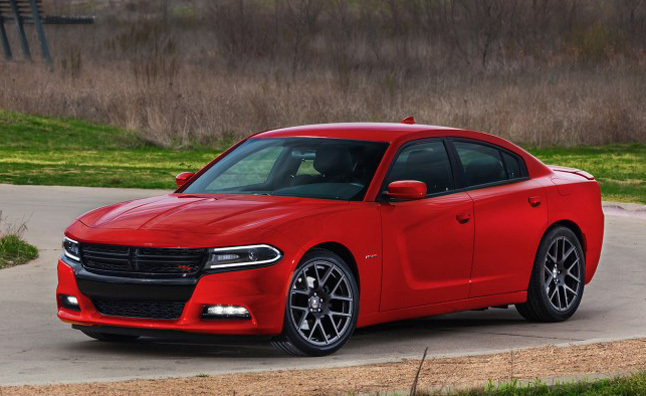 It’s going to be interesting to see how the 2015 Dodge Charger will sell. After the Charger’s unveiling at the New York International Auto Show, it didn’t get a warm reception. Some consumers didn’t like the fact that Dodge basically put the body of the Dart on the chassis of a Charger, making the once fierce-looking four door sedan look tame. Despite Chrysler being owned by Fiat for a few years now, the company is still evolving and making major changes to their lineups. If sales continue to grow, there will be a bright future for them as their five year plan heading into 2018 looks very promising. 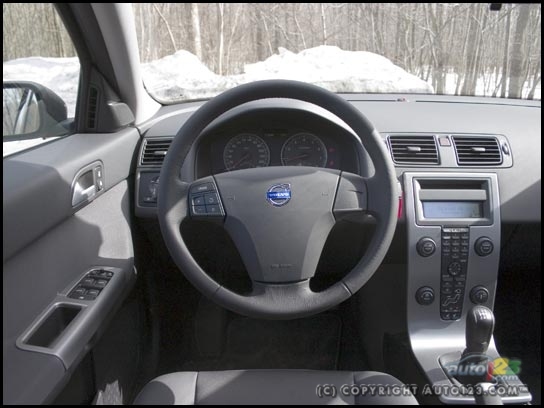 With the summer right around the corner, now is the time to buy some products for your Volvo S40, both for the interior and exterior. Custom-fit sunshade – MADE IN USA!! Endorsed by the Car Pro, Jerry Reynolds! This will help keep your S40 cool during the hottest days in the summer, which in-turn will allow you to use less of the AC, saving you some dollars at the pump. Last week at the New York International Auto Show, Dodge unveiled the new 2015 Charger, that ultimately got mixed reviews. What was once known as a proud muscle car in the late 1960’s and 1970’s, to a formidable sedan used by countless police forces in the United States, has now become a bigger version of the failing model, the Dodge Dart. The question that must be asked is, “Why did they do this?” With the Challenger remaining relatively the same, there was no need for Dodge to go the full nine yards and change the Charger. What do you think? Like the new changes or no? The only reasonable explanation for the sudden and drastic change to the Charger was the failing sales numbers the Dodge Dart has been posting as of late. Unfortunately for the American automaker, the Dart isn’t selling, as it’s having difficulty contending with the Ford Focus and the Toyota Corolla, two compact sedans that are fighting for the top spot in most sold cars around the globe. Reading the comments on social media, people find the Dart a bit bland, which is why combining it with the body and looks of a Charger probably wasn’t the wisest move, but only time will tell. This does however raise questions whether Dodge will continue the compact sedan past 2015 as sales are low, and putting the looks of the Dart with the Charger brand might help turn around the numbers. Needless to say, it will be interesting to see if anyone buys the new look Charger, especially police forces around the country. I don’t know about you, but seeing the 2008-2014 Charger as a police car is intimidating enough, but with the 2015 model, I just don’t get that same sense of fear. Being an owner of the Volvo S40 has been an absolute pleasure. The comfort level, style, and feel of luxury is what makes this car so great. It’s a Volvo. Should we expect anything less? 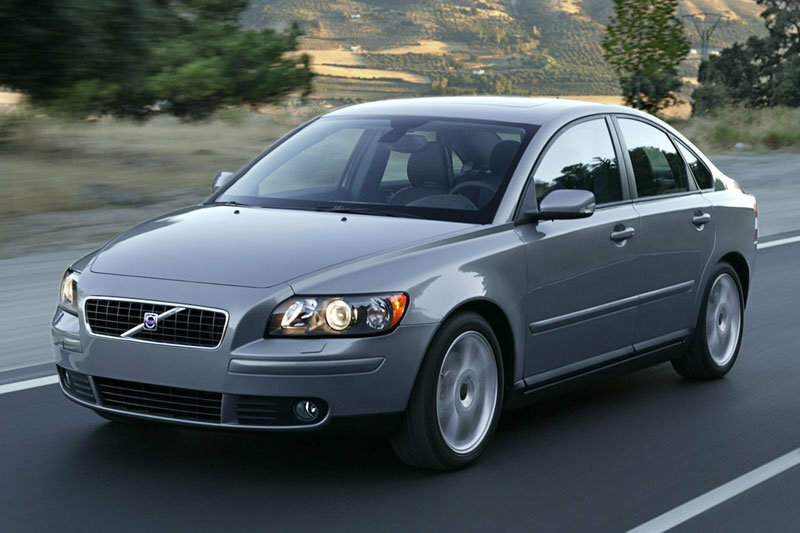 At the height of it’s sales back in 2006, the Volvo S40’s starting MSRP was roughly around $25,000. However, for the price paid for it, you got a lot more than what the competitors were offering. A sunroof, power windows and locks, 16″ aluminum rims, and climate control. The interior was clean and open, and for a compact sedan, you didn’t feel entirely close to you front seat passenger as shoulder room was quite impressive. Radio and temperature controls took time to get used to, but in the open backside, there was an added cargo space and a neat feature that hadn’t been seen in other vehicles. 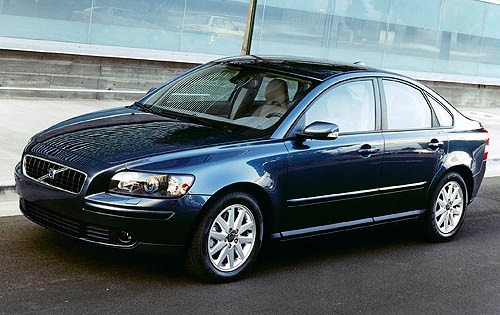 With a five cylinder engine that supplied 168 horsepower, you never felt too underpowered and could always rely on the S40 to get you out of tricky situations. From 0-60 it took 8.1 seconds, but let’s remember, it’s a Volvo, and unless you bought the T5, there was no turbo charged engine. Fuel economy could have been better, but if only used on the highway the S40 had the potential to close in on 300 miles on a tank of gas. Premium unleaded always hurts the pocket, however the miles and hours spent driving are well worth the price. Overall this car was and still is nice. For students and young adults it can be the prelude to bigger and better vehicles, but it’s hard parting ways with a small sedan that introduces you to luxury. 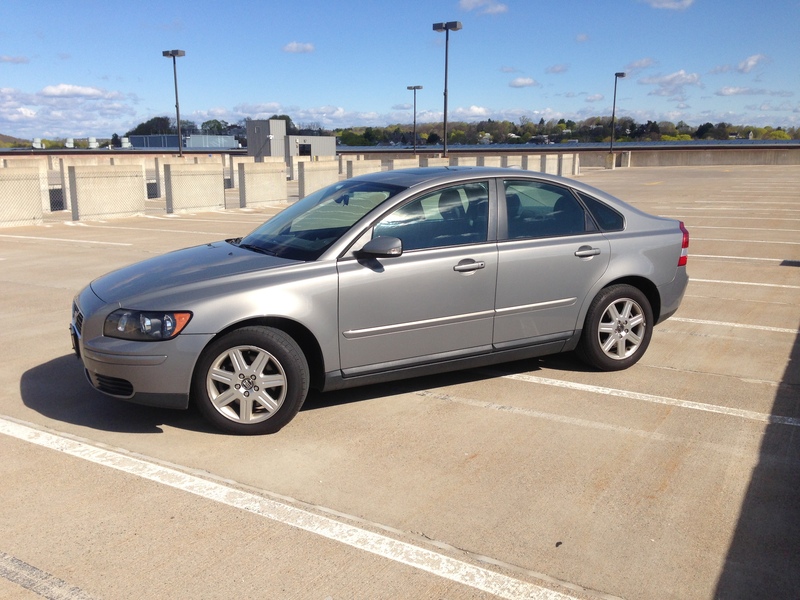 Cargo space for the Volvo S40 isn’t the best for it’s class, but that’s not what this car was meant for. The drives on a beautiful warm day with the sunroof open and the windows down is what creates the lasting memories. This car is great to cruise around in and not feel uncomfortable while sitting in it. 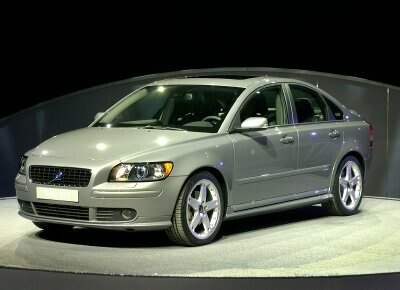 Volvo got it right when they produced the S40, and if they ever decide to reintroduce it to their lineup, there would be no hesitation, I will buy it. Slowly but surely, Jeep’s models have taken the shape of Fiat, the owner of Chrysler and Jeep. The Renegade will be Jeep’s new crossover and will debut at the Geneva Motor Show. No doubt it is a cute vehicle, but we'll have to wait and see whether it will sell in the United States. 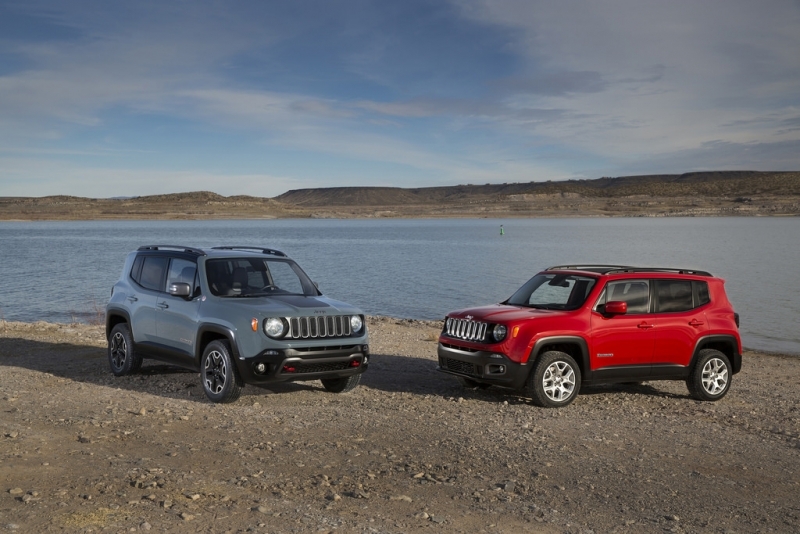 Jeeps are marketed as durable and capable of tackling any terrain that mother nature throws at it, so the Renegade will have to prove that it's worthy to be mentioned with it's bigger siblings. According to reports, the Renegade will be based off the Fiat 500L, making the Jeep more of an Italian car than the traditional 4×4 Chrysler owned SUV's. Fiat is taking a major risk as smaller vehicles work for their company, but to change the image of an American car manufacturer who only built SUV's and the famous Jeep Wrangler, this move could either be a flop or a complete success. Are BMW, Mercedes Benz, and Audi Reshaping the Industry? Audi’s all new A3, which is expected to be available at dealerships in April, will no doubt compete with the Mercedes Benz CLA. But are these car manufactures unintentionally creating a revolution in the automotive industry? Starting at $29,900, Audi is now entering into a new competition with automakers who thrive at prices on this level. However, this could change how vehicles in the $20,000 – $30,000 range are made, giving the consumer better variety and better built cars. The Ford Focus Titanium can be priced as high as $26,000 if not more, creating a dilemma as potential buyers may spend the extra thousands to own an Audi. 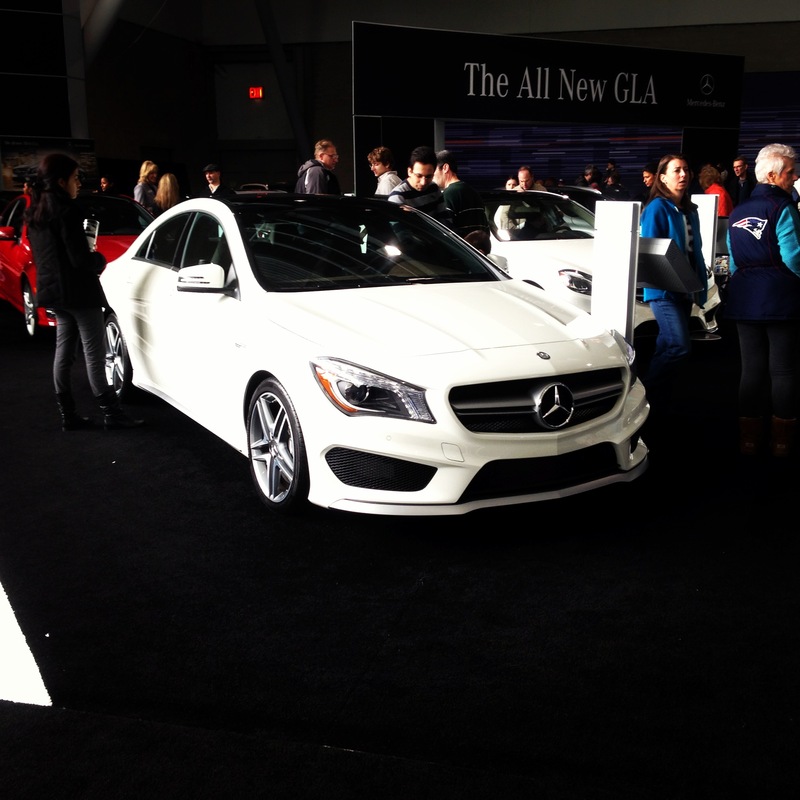 If it wasn't for the Mercedes Benz CLA, none of what we're seeing in the automotive industry would be possible. The CLA has done so well it's outselling the C300 which Mercedes Benz wasn't expecting. Consumers want luxury cars that don't cost an arm and a leg, and with the German automakers introducing themselves to a wider customer base, Ford, GM, Volkwagen, Lexus, Infiniti, Toyota, and Honda may need to change their lineups to adapt to a new market. The higher end trim of the Volkswagen GLI ranges as high as $31,000, two thousand dollars more than the entry level Audi A3 and Mercedes Benz CLA. To compete and appeal to consumers, the GLI in the upcoming years may need to change, adding more features, a completely new design, or lowering the price. What's coming out of Germany these days is going to cause headaches for manufacturers, but for the buyer, the candy store will be growing. Other car companies will have to go with the flow; there is no sitting on the sidelines watching Audi, Mercedes Benz, and BMW take their clientele away. Even the BMW X1 is making a splash. Name recognition alone will attract buyers. When a BMW's price rivals that of other crossover SUV's, you can expect panic from the other companies. Vehicles from all manufacturers will be built differently thanks to this influx of luxury vehicles starting at lower prices. Going to an auto show and seeing this first hand spoke volumes, as vehicles which aren't looked at as high end or luxurious were more sturdy and comfortable than ever before. This is a great time to be in the market for a car, and it shouldn't be passed up. The difference one year makes is amazing. Just imagine seeing this same kind of evolution taking place for all your favorite models and manufacturers. Author Mike CerraPosted on February 3, 2014 June 4, 2014 Categories UncategorizedLeave a comment on Are BMW, Mercedes Benz, and Audi Reshaping the Industry? For anyone who loves cars, going to an auto show is similar to experiencing heaven on earth. Manufacturers from Mini Cooper to Rolls Royce showed off the best vehicles the auto industry has to offer; displaying SUV’s, sedans, pickups, and sports cars. Starting with eye candy that costs less than $100,000, Audi, Mercedes Benz, BMW, Lexus, and Infiniti definitely top the list of luxury cars that are on the market today. Audi's S3 and A3 were a popular attraction as there was an unofficial line waiting to sit in the drivers seat of the A3. It might be early to make such a statement, but the smaller version of the A4 is going to be selling like hot cakes when it hits the showrooms. The Mercedes Benz section wasn't lacking in beauty either. The brand new GLA, which will be hitting the market later this year, was on display along with the recently unveiled CLA45 AMG. For someone who is looking at buying their first car, one of the advantages of going to an auto show is that you can gauge what vehicle is the best for you. The Dodge Dart, Ford Focus, Volkswagen Golf, Mazda 3, and Subaru Impreza all impressed me, not only with the fuel economy these vehicles get, but the level of comfort they have, and they weren't higher end trims either. In the smaller SUV class, the Mercedes Benz GLK, Lexus RX 350, and Infiniti QX 50 are certainly great luxury vehicles, but surprisingly, the Ford Escape, Hyundai Tucson, Kia Sportage and GMC Terrain were very comfortable to sit in. When looking at the reasonably priced SUV's today, those four are definitely worth the look. To end the day on a surprising note, one car that I'm not too fond of looking at gave me a shock, as I'd consider buying it over the Ford Fiesta; the Chevrolet Sonic. For a car at the price range it's in, you get what you pay for, but the Sonic was a pleasant surprise. There was more breathing room in the interior than it appears, and for the model that was on display, it felt like it was better built than the Fiesta. 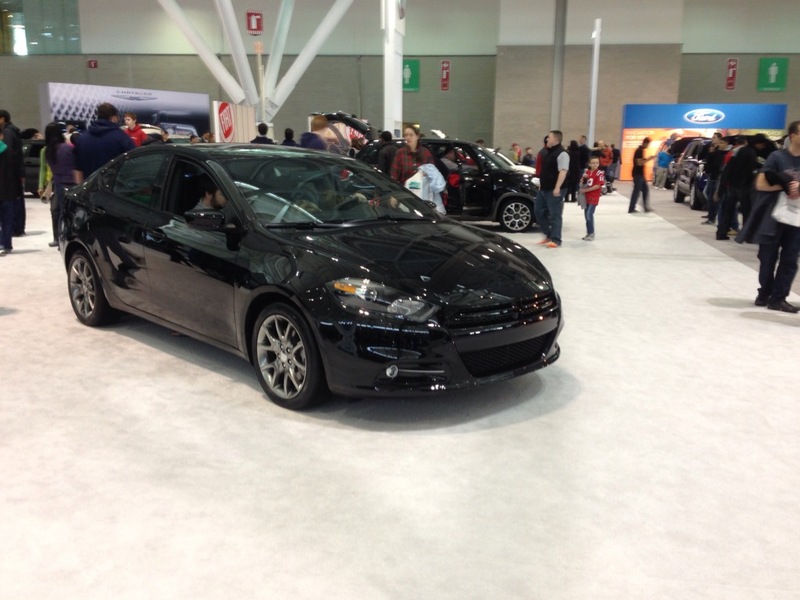 Tomorrow is the last day of the auto show in Boston. If you have the day off, I definitely recommend that you go! Are Luxury Vehicles Becoming More Affordable? Starting with the Mercedes Benz CLA, the luxury car market has slowly evolved into smaller vehicles that are more down-sized versions of existing models for BMW, Audi, and Mercedes Benz. In doing so, prices for these cars have become modest. This year, the Audi Q3 and A3 will finally be hitting the market in the United States, with price tags reportedly starting at $29,000 – $32,000. It's been a long time since German-made cars have been in this range, opening the door for younger consumers to get their hands on luxury vehicles. Audi isn't the only luxury car manufacturer building smaller vehicles. Porsche unveiled their new Macan SUV starting near $50,000. With BMW's already existing X1 starting under $36,000 and the Mercedes Benz CLA starting under $30,000, there has been a consistent drop in prices across the board for luxury car manufacturers, mostly due to the production of smaller sedans and SUV's. The prices are still out of the realm of practicality for most people, but if this trend continues, there will be more vehicles like the CLA on the road thanks to the ushering in of a new class of sedans and compact SUV's. Author Mike CerraPosted on January 16, 2014 Categories Uncategorized2 Comments on Are Luxury Vehicles Becoming More Affordable? The second day into the Detroit Auto Show and it hasn’t disappointed. BMW and Mercedes Benz are unveiling the most beautiful cars they’ve ever designed that will give consumers tough choices when they visit the dealership. There are some really nice cars hitting the market later this year, and it appears Mercedes Benz and BMW are going to duke it out for the top spot in the luxury cars category in 2014. With the CLA propelling Mercedes Benz over BMW in sales in 2013, it will be exciting to see two great car manufacturers compete as the consumer is faced with a barrage of top-notch luxury sedans and coupes all at once. And let's not forget about Audi as they have unveiled their new Q3 and it will be available, coincidentally, in the third quarter of this year. What we are witnessing from the German car makers doesn't happen often, and to see the advances these three car manufacturers are making is nothing short of incredible.